Step 1: Powder the biscuits in a mixie into a coarse powder. 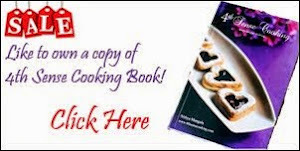 Step 2: Pour the melted butter on the powdered biscuits and mix with your hands or run it again the mixie for few seconds. Step 3: You need to Fill the pan's base with the biscuit crumbs. Step 4: Press it firmly to the base using a glass and chill this in the freezer for 15 mins. Step 5: Hang the curd in a thin cloth to remove all the water content from it. Leave it for a couple of hours to get thick hung curd. Step 6: Chop the paneer into small cubes. Grind the hung curd and paneer together to make a smooth puree. Step 7: Peel, chop and puree two mangoes. Step 8: Take the mango puree in a pan and heat it over low flame. Dont boil it. Step 5: Meanwhile chop the china grass sheet into small pieces. Step 6: Soak it in 1 3/4th cup of water for 10 minutes and the heat it until they melt completely. Step 7: Now gently combine the heated mango puree, china grass solution and sugar to the hung curd paneer mixture and beat to get a even creamy textured filling. Step 8: Remove the mould from the freezer and pour in the filling and allow it to set in the fridge for 3 hours. 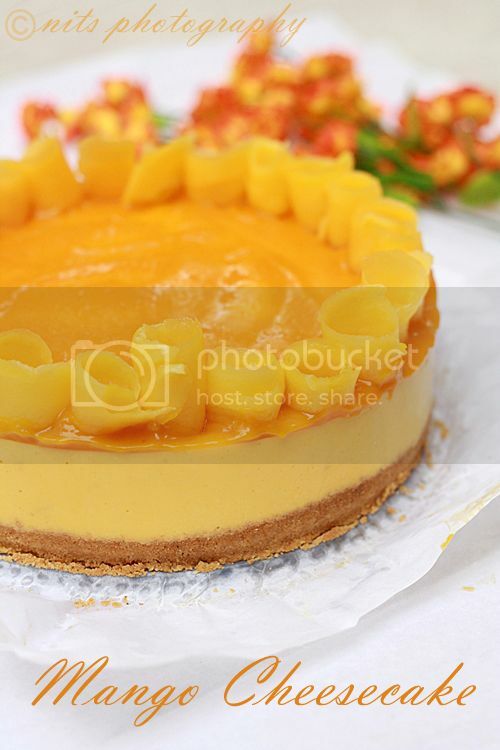 Step 9: Place the mango puree, water, sugar and lime juice in a sauce pan and heat it on medium flame until it becomes slightly thick. Step 10: Once the glaze comes to room temperature, apply it on the cheese cake layer and set it again in the fridge for an hour. Decorate as per your choice and enjoy eating. 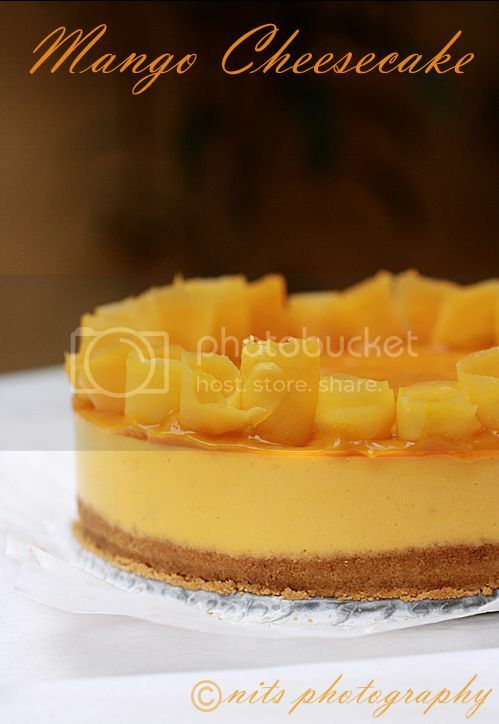 I used a peeler to get some strips of mango, rolled it and placed it on the cake for decoration. creative with the decoration - I will try it as my five old also loves mangoes. Looks awesome Nithi...I have been waiting to make a cheesecake..looks like I will have to wait forever to make one.. Cheesecake looks delectable, loved the presentation. 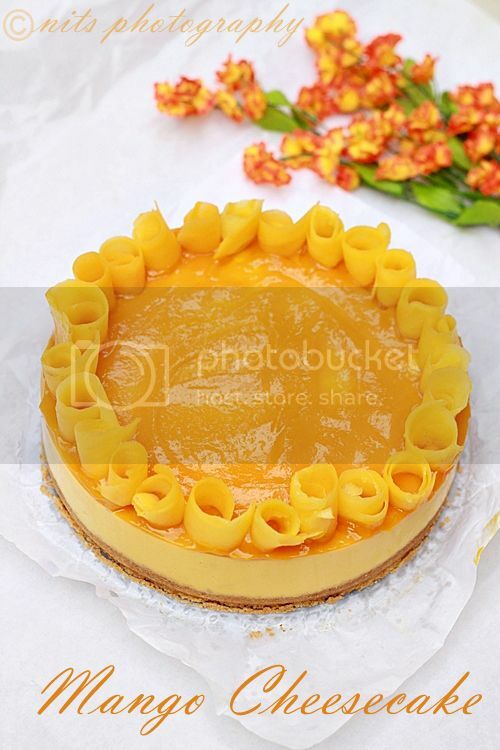 Lovely cake.. and those curls of mangoes.. very nice.. Nithya can I use gelatin instead of agar agar? delicious lip smacking cheese cake. delicious and drool worthy.. so we heat the mango puree to just warm for the agar agar? please guide..
Delightful and elegant cheesecake, lovely and beautiful. My GOD..this looks simply divine! Nithi, I have made cheesecake with hung curd and gelatine, but never with paneer. Got to try this and it looks so decorative and yummy. Amazing cheesecake, and beautifully created. Gorgeous cake, super gorgeous clicks. And my fav too...mangoes!!! I love this recipe and I am surely going to try this. I really loved the recipe and wanna try it but can you please tell me what can be used instead of ChinaGrass, as it is not available around my place? Cheese cake cant look any better looks perfect!! OMG mouth watering pictures !!! your presentation is ultimate !! !